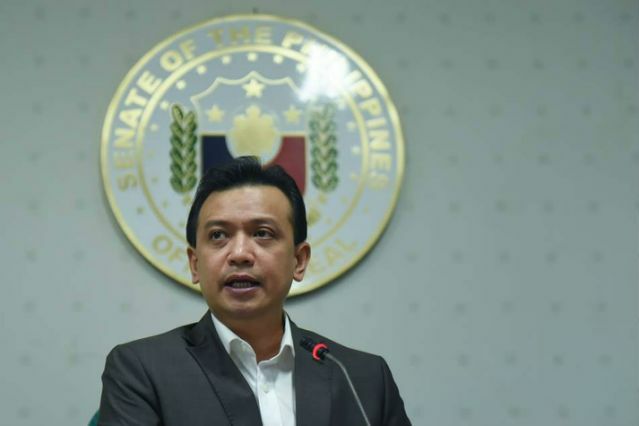 Akbayan stands with Sen. Trillanes: End political persecution! Akbayan condemns President Rodrigo Duterte's revocation of amnesty granted to Senator Antonio Trillanes IV. "The reasons cited in President Duterte's Proclamation No. 572 reeks of political persecution as this administration continues to conjure old cases from the grave. It is clear now that Duterte would rather imprison lawmakers who demand truth and accountability from his administration rather than actually facing them," Akbayan partylist spokesperson Gio Tingson said. "It is cowardly of Duterte to order for Trillanes' arrest while he's in a junket trip to Israel so when he comes back, he has one less critic to face," Tingson said. "It is clear that Duterte wants Senator Trillanes locked up because he wants the president probed for allegations of hidden wealth, his family's alleged involvement in the drug trade and his murderous campaign against drugs that has killed 20,000 Filipinos already," Tingson said. Akbayan called on the people to stand with their ally Senator Trillanes, a vocal critic of President Duterte. 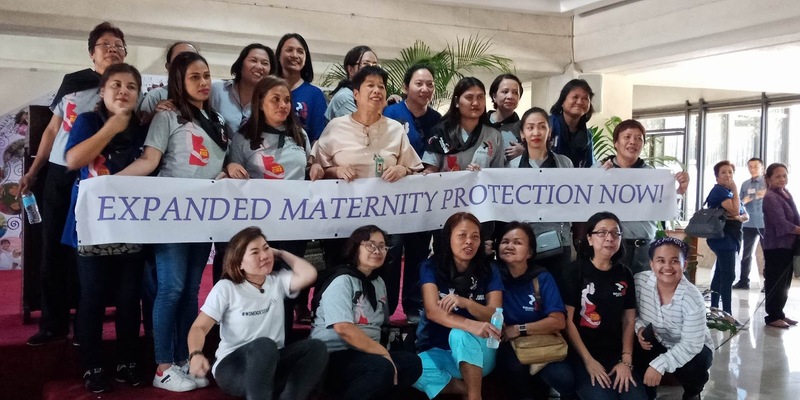 A measure to expand paid maternity leave for working women in the country to 100 days was approved on second reading by the House of Representatives on Tuesday. House Bill No. 4113, sponsored by Bagong Henerasyon Partylist Rep. Bernadette Herrera-Dy and co-authored by Akbayan Partylist Rep. Tom Villarin, seeks to add 40 days to the current 60 days of paid maternity leave for female workers in the government and the private sector. Work4EML, convened by workers and women from Partido ng Manggagawa, NAGKAISA, Akbayan Women, IndustriALL, Public Services Labor Independent Confederation (PSLINK) Philippines, Building and Woodworkers International (BWI) Philippines and Associated Labor Unions (ALU), Manggagawang Kababaihan Mithi ay Paglaya (MAKALAYA), welcomed the progress as a positive development in ensuring the welfare of women workers in the country. Akbayan Partylist President Machris Cabreros slammed President Duterte's appointment of Teresita de Castro as Supreme Court Chief Justice. "Teresita De Castro's appointment as Chief Justice to the Supreme Court is President Duterte's reward for her removal of CJ Sereno from the post. Her next mission could be putting the Marcoses back in power by favoring Bongbong Marcos' sham electoral protest," Akbayan Partylist President Machris Cabreros said. "De Castro will have 2 months in office but the Mischief Justice is capable of enabling the whims of the dictator," Cabreros said. Akbayan noted that De Castro voted yes for the hero's burial for Marcos, upheld Duterte's martial law in Mindanao, and voted to clear Gloria Macapagal Arroyo of plunder. "She can also bend the Supreme Court to Duterte's will by upholding the withdrawal from the International Criminal Court, give constitutionality to Oplan Tokhang and other crucial cases in the Supreme Court," Cabreros added. 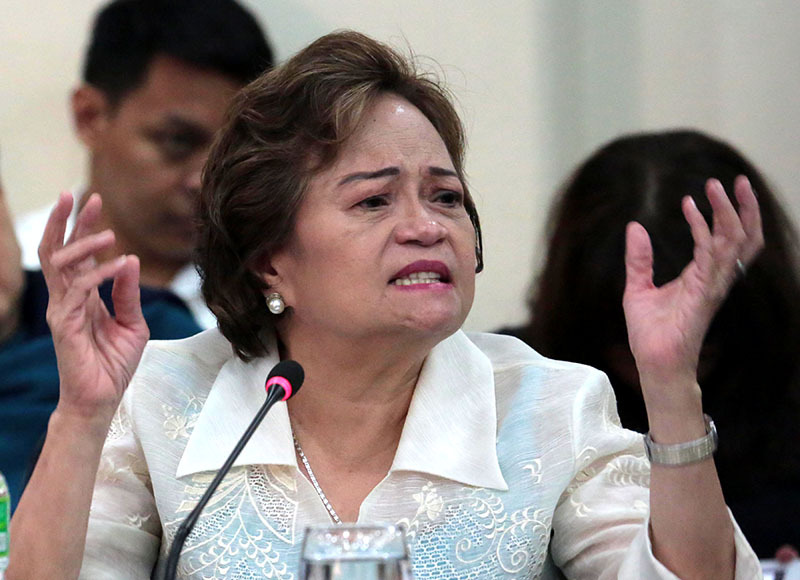 "After her two month stint, Duterte can appoint another lapdog to the position while De Castro can relish retirement with her expensive pension and her short gig as Mischief Justice," Cabreros ended. Hundreds of students, youth leaders and human rights advocates convened in major cities across the country to commemorate one year since the death of 17-year old Kian delos Santos, one of the young victims of the President Duterte’s violent campaign against drugs. 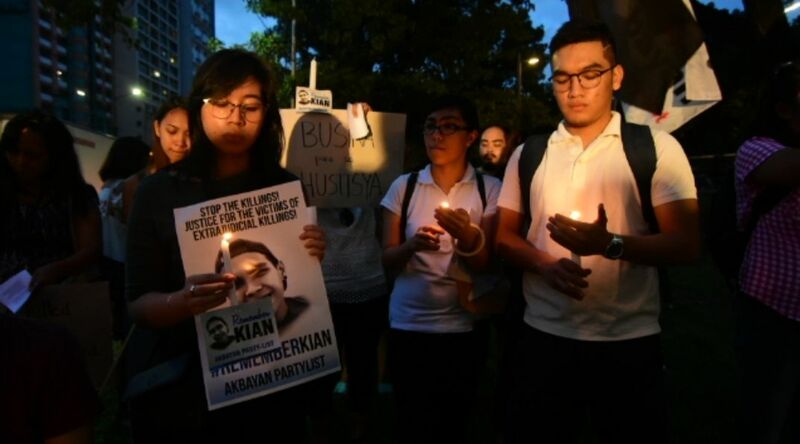 In Metro Manila, student council leaders, teachers and staff from Ateneo de Manila University, University of the Philippines Diliman and Miriam College gathered in gate 2.5 in Ateneo to light candles and hang banners to #RememberKian together with activists from Akbayan Youth, Akbayan Partylist and Tindig Kabataan. The students also wrote letters for Kian which they posted on a huge board by the sidewalk, showing their demand for justice for young victims of the drug war. “Hindi nakakalimot ang sambayanan sa sinapit ni Kian sa ilalim ng War on Drugs ni Duterte. We remember Kian with our demands for justice and our cry to hold the Caloocan policemen and the president accountable,” Akbayan Youth Chairperson JC Tejano. “Huwag nating kalimutan na dumami pa ang mga batang pinaslang ng kampanya kontra droga ni Duterte pagkatapos ni Kian. Malinaw na ang War on Drugs ay hindi para sa kaligtasan ng mga bata,” Tejano ended. Akbayan Party-list demands justice for 17-year old Kian delos Santos and other young victims of drug war-related killings as they start the #RememberKian campaign today. "We remember Kian today, demanding an end to Duterte's corrupt War on Drugs that continues to kill minors. Let our country not turn into a graveyard for its young people and children," Akbayan spokesperson Gio Tingson said. “74 young people have been killed under the War on Drugs, according to latest data from human rights groups. That’s the size of two class sections in school slaughtered by masked men or police officers. It’s time we end this bloodshed,” Tingson said. "Habang ayaw natin na malulong sa droga ang mga kabataan, lalong ayaw natin na mawala sila dahil sa patayan," Tingson said.